Yay! My 'get to know me' feature for the Salvation Army Thrift Store is getting done! 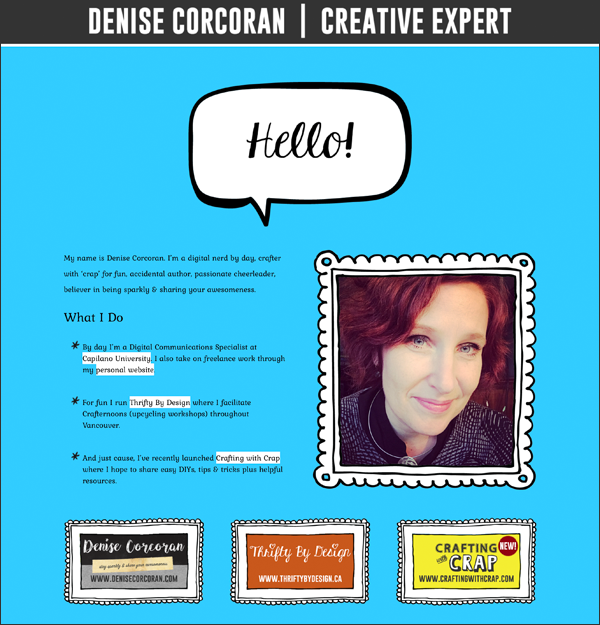 I built a mini webpage to accompany my Creative Expert videos this weekend - webpage is done, videos have been sent... Stay tuned for details! Here's a teeny tiny sneak peak. Big thanks to my awesome peeps at Salvation Army Thrift Store. You guys rock!